An introduction to the key ideas behind our projects on Fogo Island. A look at the singular spaces and amenities of Fogo Island Inn. Fogo Island Inn is the embodiment of an ecological ethic. Each of our seven seasons provides a different opportunity for getting to know us, Fogo Island, and perhaps yourself. There are no strangers here. When you leave, you'll be leaving home. Fogo Island has seven singular seasons. Each provides a different perspective for getting to know Fogo Island, and perhaps yourself. Exhibitions at the Fogo Island Gallery feature new work by artists and curators who have participated in the Fogo Island Arts international residency program. We've created a variety of ways to orient and immerse you in this place. Fogo Island is an unspoiled wilderness, at once knowable and unknowable. Our English and Irish ancestors were self-reliant cod fishing people who made their living on the tumultuous North Atlantic. The official blog of Fogo Island Inn. Architecture has the power and the duty to carry and convey the character of a particular time and place. The 37-seat Fogo Island Inn Cinema is a partnership with The National Film Board of Canada. Find yourself at one of the four corners of the Earth. Fogo Island is big and small–big enough to be interesting, yet small enough to know. If the Inn is a ship, the Dining Room is its noble prow. The traditional boats of Fogo Island represent a way of knowing born specifically of this place. There is no stronger definition, no stronger attachment or symbolism, than Newfoundland and Labrador with Atlantic cod. If you’re going to go off site, go off site. Summer brings a bounty of beautiful wildflowers followed by delicious berries in the autumn months. What if everything you bought told you where exactly your money was going? A library of all things Newfoundland. You don’t often see saunas in Newfoundland, but it suits this place. Fogo Island Arts is a residency-based contemporary art venue for artists, filmmakers, writers, musicians, curators, designers, and thinkers from around the world. Fogo Island and Change Islands are outport communities. Culinary expressions of nature and culture. The closest commercial international airport to Fogo Island Inn is Gander, Newfoundland (YQX). Fogo Island Inn has an international reputation for exceptional, embodied, place-specific hospitality and bold, thoughtful, humanistic contemporary design. Our rooms are the loving expression of our philosophy. Fogo Islanders are genetically predisposed to exceptional hospitality. A selection of photos to help orient you to this place. The furniture and furnishings of Fogo Island Inn are now available for purchase through the Woodshop on Fogo Island. Fogo Islanders have a way of putting you instantly at ease. A Birthday, Anniversary, Milestone, or Wedding. Whether you’re a few persons or 60, a Private Stay at Fogo Island Inn can turn a gathering into a joy. Coming here means your executive team will go far. Designers from away worked side-by-side with Fogo Island’s artisans and makers to create furnishings and furniture that weaved the new from the fabric of the old. From Bloomberg Press to The New York Times and the Financial Times, our Inn has been featured in hundreds of publications worldwide. The only way to truly know Fogo Island is to explore it by foot. Fogo Island is one of the few places on Earth where you can see the full spectrum of the magma chamber exposed. Fogo Island’s history, culture, and economy are bound up with the sea. 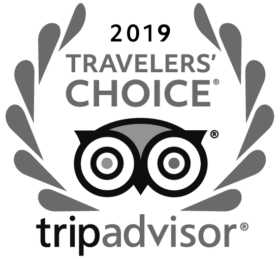 We're here to help you plan your trip. Fogo Island plays host to countless species that swim our ocean waters and wander our barrens. Many luxury properties have a charitable foundation. Our charitable foundation has a luxury Inn. There is an inherent and irreplaceable value in small places, where cultures are guided by ingenuity, creativity, and a respect for the natural world. Get to know us through moving pictures. A welcoming Inn and an innovative social enterprise. “Challenge for Change” was a program that allowed communities to use film as a catalyst for social change. 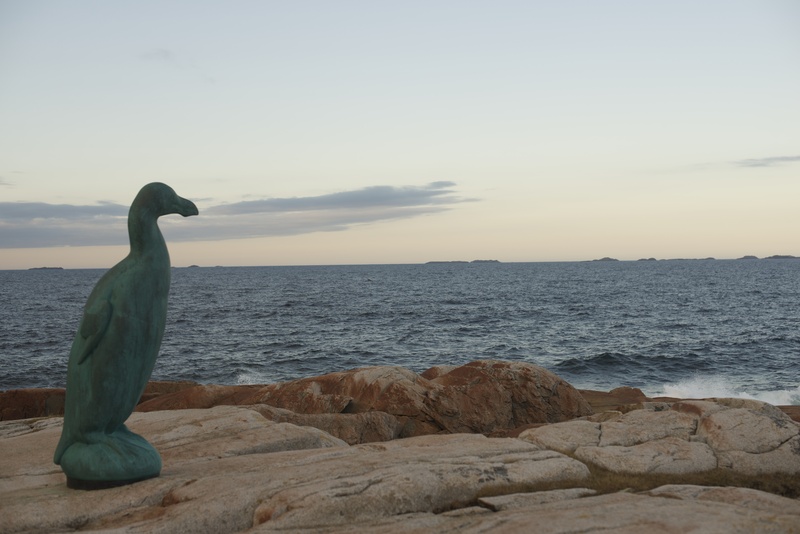 Hike out to Joe Batt's point to visit the bronze sculpture of the Great Auk, created by artist Todd McGrain. Like too many other creatures, the Auk is now tragically extinct. It will be hard to resist giving the Auk a hug as you gaze north towards the Funks, the place these magnificent birds once called home.